After finishing it all, starting ahead on something else. Crossing off things I finished. Transferred things that I hadn’t done to the next day. Starting using a Bullet Journal. Sometimes I’d forget to transfer a task over, and it’d just never get done. If there were a bunch of small tasks (And I mean tiny– “get form signed”, “tell ____ about ____”), I’d get those done first. By getting those done first, I mean only get those done. 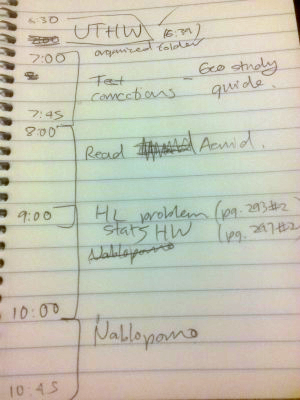 Scheduling time- literally making a hour to hour schedule of what I was going to spend each hour of my day doing. Using multiple to-do lists for extracurriculars, school, personal life, and college. Transfer a few tasks into each day. Before, I would generally only get the tiny things done. Now, I tend to get more big things done while leaving the smaller tasks unfinished. How much is me actually scheduling stuff badly (aka 5 straight hours on the computer with no breaks) and how much is just me being lazy? The biggest thing that determines whether I stick to my schedule or not– whether my notebook is 1) on my desk and 2) whether it’s open to today’s schedule. Literally. The tiniest things prevent me from getting stuff done sometimes. LEARNING THIS EARLIER WOULD HAVE LITERALLY HELPED ME IN EVERY CLASS EVER. Stories of people constantly talking about managing their time well. And then realizing that I had 0 idea what managing my time well ACTUALLY meant. An actual essay draft I considered submitting for an open-ended supplement but ended up scrapping. It came in the middle of studying for my AP chemistry exam. Locked in my room the day before the exam, I had printed a pages of problems to work on as a review. My phone was beside me only as a source of music. I had my notebook open, and I was silently working through pages of problems, occasionally looking up formulas, and writing everything I didn’t know on a sheet of butcher paper. Oddly enough, I felt…happy. Overwhelming happy, in fact. Logically working through each problem, no one looking over my shoulder judging my every step and noticing my stupid mistakes, methodically reasoning through and checking each problem, feeling the tiny pangs of rejection and the short bursts of satisfaction. If decided to go another route, it didn’t annoyingly come back at me. If I needed a formula, I didn’t have to wait hours for a response or remind myself to make sure to follow up the next day. In other words, nothing held me back asides from my own hard work. It was that same rush of intellectual satisfaction I got in the middle of math competitions, sans the time constraint and competitiveness. Should I spend my time writing an email, or doing my homework? Could I pay attention in class and work on another assignment at the same time? Did I know a topic well enough to do well on the test? And even if I didn’t, would the grade hit be worse than telling people about an event a day late? How much sleep did I really need to do well at x? (Too often, my sleep-deprived brain reasoned the answer to be “not much.”) Often times, Student Congress work seemed more urgent and more glamorous than sitting in front a book, and it would push aside other work that was less glamorous, more time consuming, less urgent. Namely, school work. Even when I spent hours doing nothing, I would constantly get this nagging feeling that I was missing something and frantically figure out what it was. I began treating doing well on tests as evidence of studying too much. I know that I had formerly overlearned, but it shocked me how little studying I could get away with. Spending additional time on material solely because I enjoyed it seemed selfish, especially when I could spend that same time helping someone else. It took my last minute studying for a standardized test that hundreds of thousands of students would take to realize how much I valued my individual learning process. In the rush of everything, I had forgotten the simple joy of learning, the very thing that I felt was missing in schools and made me interested in education reform in the first place. In 8th grade, I had spent most of my lunch doing math problems in a teacher’s room because I genuinely enjoyed it. If I was to learn anything properly, it’d have to be without the constant pressure of other things looming over me. Even if it was there, I had to strongly insist that focusing on academics was a worthy use of time. Sure, bringing 100 students on a trip to Austin was exciting, but so was sitting with a book doing math problems. Sure, writing an amicus brief and getting national press coverage was thrilling, but so was reading drafts of the brief and struggling for several minutes to word a sentence properly. Hosting Student Congress meetings on my own was exciting, but so was figuring out a meeting format that would be both informative and engaging for students after my Cabinet had told me that they felt bored and ineffective after our meetings that first year. That summer, alongside other things, I worked as a summer student at MD Anderson.I had no intentions of going into medicine or research, but I was curious to get a glimpse back into the academic world I had seemingly alienated. What I found surprised me. There was no pressure to get things right the first time, as long as I had something correct to present at the end. Even though I was in front of a computer for most of the day, I had the chance to talk to the people around me. Directly asking my mentor questions in person followed by an immediate answer was in stark contrast to asking and waiting for a response via email or chat. People openly criticized other peoples’ ideas without any criticism of the person. People ate lunch in front of their computers to get more work done. No one in my department spoke English as their first language, yet when it came to explaining their project, they all spoke perfect (though accented) English and explained complicated concepts more clearly than some of my teachers. I was jealous of the people I worked with, jealous that they could spend the entire day working on a few things, jealous that they got to decide how to spend their 8 hours every day, jealous that what I only had a summer to learn, they could do all year. Even though I knew I was enamored partially because it was my first exposure and that the novelty would most likely wear off quickly, I carefully observed everything about the environment around me and embraced my work. As I returned to school, I began to feel this struggle again- whether to stay quiet and do my work like I had done over the summer at MDA, or to focus more on the outside world, the so-called “real world” through the Student Congress. I still cannot tell whether I’m an introvert who revels in nerding out, or the awkward extrovert who feeds off the energy of a crowd. I realize that these are not mutually exclusive, but more and more, I feel like the frantic peddler running in between two worlds that keep demanding increasing amounts of time and energy without any aim as to where I’m going. Only time can reveal where I ultimately stay. I’ve been trying this new thing out where I plan out my entire night before I start working. Write out a basic list of things I need to do with an approximate time on it, fit it into a schedule, and stick to it. Here was my plan for tonight that fell apart after 8:00. I’ve noticed that I can generally focus well for up to 2 hours before some stubborn unwillingness to work kicks in. (This also applies to when I’m using the Pomodoro technique.) If I genuinely try at something, my brain will start hurting and it takes a while to recover. Problem though: When the schedule doesn’t go to plan (like today), is the option to stay up later and risk losing sleep or transferring the stuff to the next day? The most urgent stuff was all at the top, so it got done, but what about the stuff at the end of each day that doesn’t get done because there never seems to be enough time? Pretty sure the answer is some more clever re-ordering and becoming more efficient. Increasingly, I’ve been feeling guilty for choosing sleep over arguably more urgent things (and still feeling tired during the day) and my productivity is nowhere near its max. This past week, I’ve done a lot of work that feels disingenuous in name. Most of this work isn’t unique to this week, and it’s been bothering me lately. Why can’t I just be efficient and get done what needs to be done? Copying down vocab words might be considered “busy work,” but the only reason I knew some of those words is because I “mindlessly” copied them down. Maybe they didn’t need you at that event, but the more events you help out at, the more likely you’re going to find a worthwhile one. The world isn’t built around your productivity, and the spontaneity makes everything all the more beautiful, all the more worthwhile. There has to be a balance between productivity and non-productivity though. I can’t work 5 hours non-stop on homework, nor should I have a 60:1 Youtube to homework ratio. Enter the Pomodoro technique. Yes, the tomato method. Work for 25 minutes, break for 5 minutes. 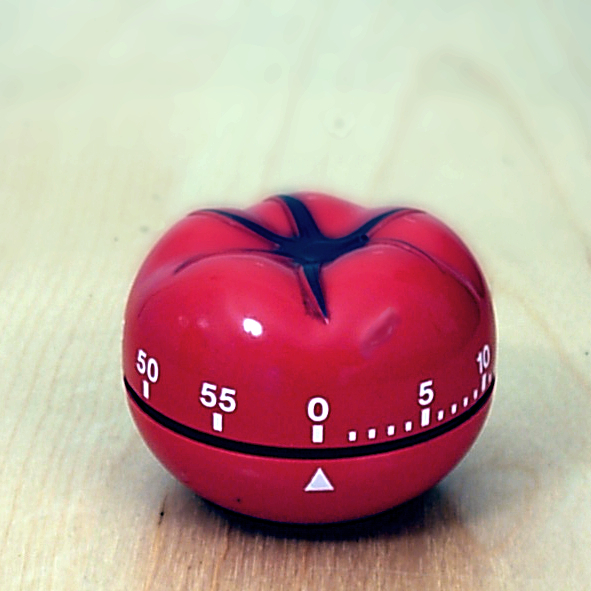 This is one “pomodoro.” After 4 “pomodori,” take a 15 minute break. Repeat. I have an app on my phone that schedules these time chunks, but I’ve been unable to keep up with it for more than 2 hours. Still, I consider staying focused on an assignment for 2 hours a pretty big accomplishment, especially if it’s not the class period before it’s due.. But it’s hard to define “being productive” in some cases. Working on a worksheet or doing textbook work is clearly being productive, but online time is different. Is waiting for a friend to respond to a Facebook message about homework considered “being productive”? What if that conversation goes off topic? What about writing an email? 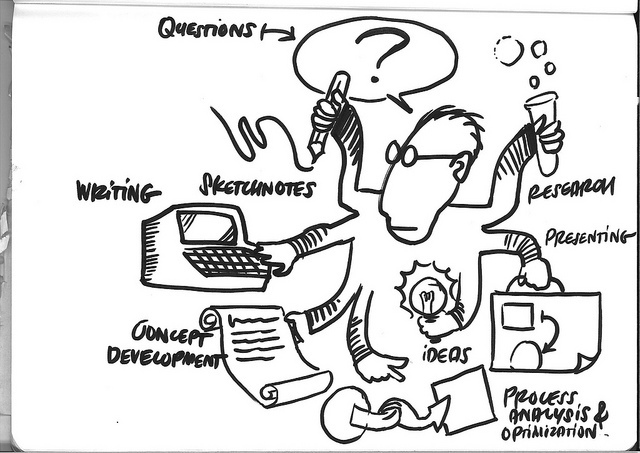 What about scribbling down an epiphany down on Google Keep? I clearly need to set some better standards before the tomatoes start working in my favor. In the meantime, I’ll enjoy the feeling of being productive. Amidst my SATs, summer program applications, tutoring, tests, Student Congress work, and homework, I had, slowly but surely, become a workaholic. I have absolutely no idea how that happened, (*sarcasm) but everything’s calmed down a bit since then. As a precaution though (and because I’m curious), I’ve decided to try a couple of productivity experiments. Inspired by this post by Cal Newport about using a “depth deck” to focus on long term projects. The basic strategy is to write every step of a project on a separate index card, clip them together, and as you complete individual parts, record the date and remove the card from the deck. 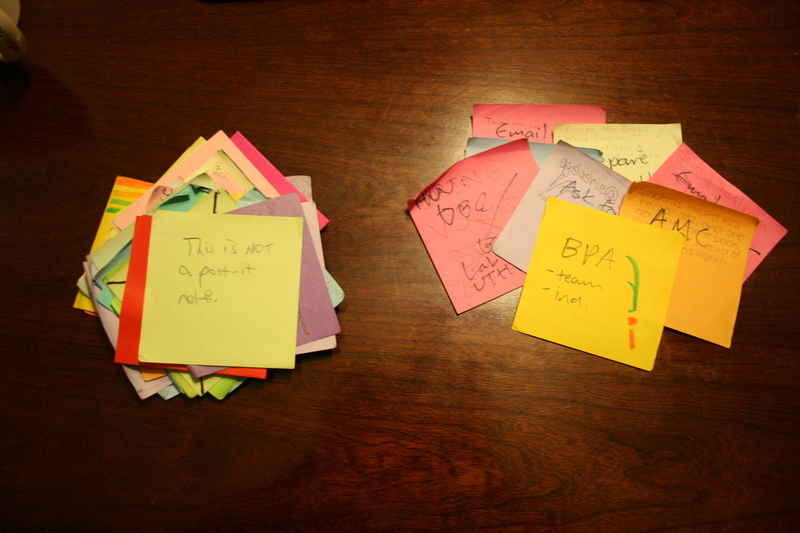 Well, what if my entire life is a huge project and I used post it notes instead of index cards? IT’S LIKE A PHYSICAL FORM OF GOOGLE KEEP. The main benefit I got from this was finally finding a use for all these post it notes forcing myself to only work on one thing at a time. Whether I actually did what was on the post-it note was another matter, but I didn’t have any of those times where I get so sidetracked that I forgot what I was originally supposed to do. 1) Working in fullscreen. Something about physically seeing multiple tabs at the top of Chrome makes it way too tempting to Ctrl+Tab to another screen, hence distractions. Fullscreen takes care of that wonderfully. 2) Blocking my Facebook feed with AdBlock. Sometimes I end up spending an obscene amount of time scrolling through the same stories over and over on my feed. So I abused AdBlock and claimed that my entire newsfeed was an ad. Either I choose ads on all my other sites, or no NewsFeed. It’s usually a pretty clear victory. I’m not really sure how well this works, since messaging kills more of my time, but I like to think that it’s at least somewhat useful. 3) StayFocusd. I can easily exit full screen or pause AdBlock, but once I activate Nuclear Mode on StayFocusd, there’s no going back. At the time of writing, I currently have nuclear mode on for 2 hours. It’s wonderful and horrible at the same time. The daily time limit doesn’t work for me. Nuclear mode is the way to go. Do I actually want to be productive? Do I find procrastination a virtue? Do I not feel productive unless I’m “working on” three things at once while having 10 tabs open? 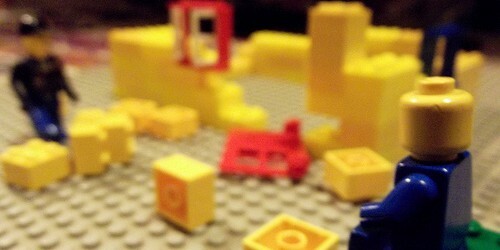 Is feeling productive more important than being productive? There are times where I don’t mind wasting half of my night Faceboook messaging people because I have nothing better to do. But those nights are becoming fewer and fewer, and more often then not, I regret wasting all that time. Yes, it’s going to be hard. Yes, it’s going to take a pretty significant mindshift and self-discipline. Yes, I may get hate from my friends for being “too productive.” But in the end, the truth is that I’ll be getting more done, and no one can take that away from me. I have trouble focusing a lot. Writing a blog post often takes longer than it should because the allure of multiple tabs on Chrome pulls me away from writing. I read a book for fun yesterday, only because my internet went out for 4 hours. I have trouble convincing myself to do anything I have labeled as busy work. Sometimes I try to play music and try to enter “mindless copying” mode as I do my work, but that’s unsustainable for more than 5 minutes, unless it’s the night before an assignment is due. There are some exceptions though. Sometimes I can focus on a post for an entire hour and churn out a good 400-500 words. If I’m really lucky, two hours. Sometimes I find a book that’s actually interesting. Sometimes I reach a late-night stage of euphoria where I can do mindless work and be completely content. More often though, I find this sense of focus when doing math, or anything that gives instant feedback, whether it be online homework (I’m looking at you UTHW), or simply working through textbook problems and checking my answers in the back. The satisfaction of getting previous problems right gives me enough motivation to keep going, and occasionally, I’ll get a nice fuzzy feeling inside from solving a problem correctly. However, I’m also prone to fits of throwing my pen down and near screaming “NO ONE CARES” in the middle of problem sets, most notably in chemistry. I don’t have a problem with dealing with the tedious calculations of 1 question. I do have a problem with doing 20 questions that are identical except the numbers are switched. It’s a delicate balance to find that optimum level of stimulation. I don’t find subjects sufficiently interesting enough unless they’re hard, and frankly, I expected some of my self proclaimed “college level” classes to be more challenging. When my English teacher states that our tests are “testing rote memorization, the lowest level of learning”, I don’t feel particularly motivated to study. When I can get through an entire chemistry test by formula plugging PV=nRT and remembering assorted facts, I don’t really feel like I’ve learned much. I like the feeling of barely knowing enough information to solve a problem. I get a sense of malaise when I can get through an entire set of problems effortlessly– I spent all my time doing something I already knew how to do. Whose idea was it that we could (and should) learn 7 subjects at the same time? Are we supposed to focus on all of them equally? And how have I become used to this? There are schools where students only take 3 subjects every semester and take different classes every semester. That’s still a total of 6 classes every year, but students would have less to worry about at any given moment, and they could cover the content more in depth. Then again, if you ended up in a class you really disliked, you’re kind of screwed. However, most of us don’t go to that school and aren’t getting out of the 7 (or 6) class schedule until college. So how do you deal with it? Monotask when possible. Even if there’s multiple things to work on, pretend like there’s only one and temporarily forget the others. Do things in the order in which you find most productive. The generic advice is to do things in order of urgency. I disagree. It doesn’t matter what order you do things as long as you eventually get everything done. (How many of you go to sleep if your homework is incomplete?) If saving the fun work for last will motivate you to get through all the grunt work, do that. I don’t have that self-discipline. I do whatever assignment I find most interesting first and rush through the rest of the assignments as my productivity wanes throughout the night. Find ways to minimize distractions. Turn off the computer screen if you just want to listen to music. 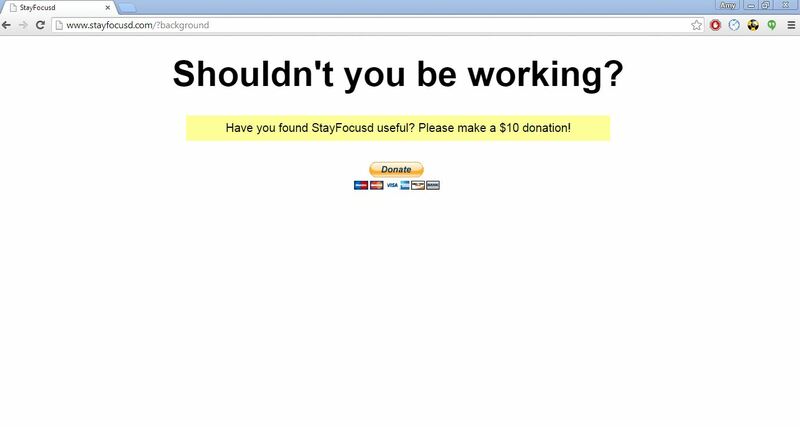 Install StayFocusd for Chrome and block all the time-consuming sites for an hour with Nuclear mode. Do your writing on Word or OneNote instead of Google Docs so you can’t just Ctrl+T your way to a distraction. Work in fullscreen (F11) so you can’t see all your tabs and Ctrl+tab your way to a distraction. These are random strategies that I’ve picked up throughout the years. Any that I’ve missed?